Gabriel Burt's Blog: New York's Finest? 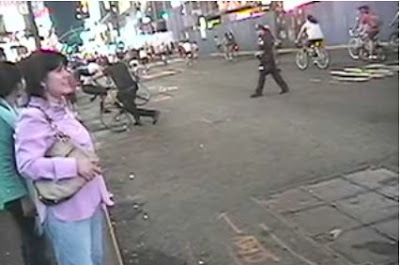 A NYPD officer intentionally, violently battered a random, non-aggresive bicylist to the ground in front of a crowd of onlookers last Friday. This makes me incredibly angry. Is this the kind of bicycle-friendly city Mayor Bloomberg is trying to create? One where innocent cyclists are threatened not only by dangerous roads and traffic, piston-produced pollution, but by the police? Watch the entire video on YouTube to see it for yourself. Even if you aren't a fan of bicycling, critical mass, young people, etc - nobody deserves to be treated like this. Digg It! A rookie NYPD cop was stripped of his badge and gun Monday after a stunning video caught him slamming a bicyclist to the ground in an apparent unprovoked attack. And later in the article, it says "A law enforcement source said the charges against Long would likely "go away" and another source predicted Pogan would be fired." He clearly lied in his arrest report because he claimed that he was knocked to the ground. The other things he said can't really be proved (maybe he really did think Long was cycling straight towards him... I don't believe that, but you can't prove it) but it's clear from the video that he was not knocked over. Apparently as he was getting arrested Long was screaming "I'll have your job!" Hopefully he's right. Cyclists sometimes really get on my nerves with inconsideration, like holding up traffic on the road when there is a perfectly good (and clear) separate cycle path besides the road. But you are right, nobody deserves to be treated like this and particularly not by those who are responsible for keeping the peace. 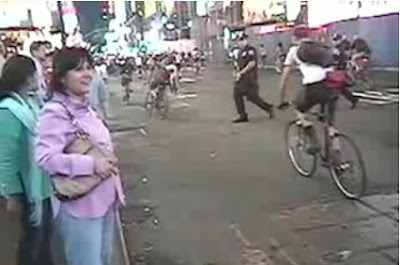 This used to be the case in Chicago as well, where the cops would brutalize Critical Mass on a regular basis. Now the city sponsors it's own rides. 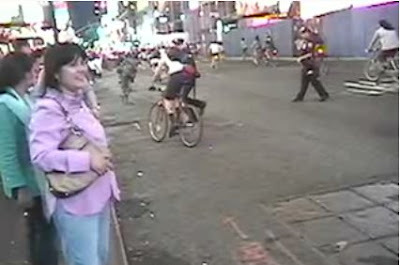 The other NYC critical mass videos on YouTube are pretty sobering. The London ride has a much easier time in comparison: the police come along and stop traffic and are generally quite nice in my experience. Passionate technology leader, architect, and builder.